Edo State Governor, Godwin Obaseki has been commended for his administration’s efforts at resettling and reintegrating Libya returnees, who are indigenes of the state. The outgoing Chaplain, All Saints Chapel, University of Benin, Venerable Solomon Makun, gave the commendation at the 50th Birthday Thanksgiving Service of Chief Medical Director (CMD) of the University of Benin Teaching Hospital (UBTH), Dr. Darlington Obaseki held at the Church on Sunday. Venerable Makun said efforts by the Godwin Obaseki-led administration was not only commendable but worthy of emulation by leaders across the nation, who ought to respond proactively to different issues bedeviling Nigeria. The clergyman said leaders would one day give account of their stewardship to God, urging the CMD, UBTH, Dr. Obaseki to use the occasion of his birthday to rededicate himself to God and humanity. The in-coming Chaplain of the Church, Venerable David Egbenusi, described Governor Obaseki as a silent achiever, especially in the areas of infrastructural development and the digitalisation of government and governance processes. 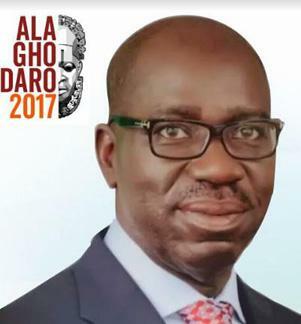 The post Clergyman commends Obaseki’s efforts at reintegrating Libya returnees appeared first on Vanguard News.